Should You Run for Reliance Jio Offer? No doubt Reliance Jio has come with exclusive free services till 31 Dec 2016 through its Reliance Jio Plans however we hold a different opinion and one need not run for them as they are still in Beta stage with lot of call drops. Yes, you can use their free internet service till 31 Dec 2016. However; remember that if you are a premium client of a service provider; you will lose that tag as premium clients calls go through irrespective of the congestion in the net. Individuals who spend more than Rs 500 a month stand to gain by switching to RJio, while those who pay less than Rs 200 a month may not benefit at all. Do have a look on below video too. Rajan.S.Mathews, Director General, Cellular operators Association, Ail Prakash, Secretary General International Telecom Union and Asia Pacific TeleCommunity Foundation, Pavan Duggal, Senior Advocate, Supreme court and a cyber law expert, and Ravi Visvesraya Sharada Prasad, Independent Telecom consultant air their views on Jio onslaught. 4) As explained above, the Rs 149/month pack makes no sense for data users because it gives only 300 MB. The next pack is the Rs 499/month pack which has 4 GB of data (along with the default unlimited calling feature). Since unlimited calling is available in both the Rs 149 pack as well as Rs 499 pack, then the only difference is that the 499 pack gives you additional 3.7 GB of data at an additional cost of Rs 350. => Rs 350 for 3.7 GB? Sorry, not convincing. Your own brother Anil Ambani has been offering 10 GB of data for less than Rs 400. Yes, I agree that while they are offering 3G, you are offering 4G, but at the end of the day, the total data remains the same. 5) Let me take up the next pack. Rs 999. I get 10 GB of data (along with the default unlimited calling feature). Compared to the Rs 149 pack which already has unlimited calling feature, what I get in this pack is effectively 9.7 GB of data for Rs 850. I am not impressed because if I spend a little extra, I can get unlimited 3G from BSNL. 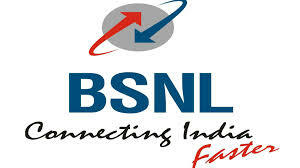 Yes, Unlimited 3G by BSNL for Rs 1099. 6) Now that I have seen how even the Rs 999 pack fails to impress me, due to much better offering from BSNL. Why should I pay Rs 999 to Reliance for 10 GB data, when BSNL is offering me unlimited data for Rs 1099? For a data user, Reliance Jio is not impressive. If the usage is more than 1 GB per month, then the Rs 149 pack should not even be considered because it has only 300 MB. In the next pack, Jio offers 4 GB data for Rs 499 which is not revolutionary, but since it says night time is unlimited, I think it can be called "evolutionary". But still that is not such a great incentive to switch. In the next plan which costs Rs 999, it offers only 10 GB, whereas BSNL gives me unlimited data for almost the same price. This way, Jio, according to my analysis is chalking out the vision of "Analog India" (voice), but not "Digital India" (data). We will request all the readers to endorse their opinion on the issue. Do remember to check sure share tip of the day and start trading like professionals.